Fragrance in the spring and summer garden is something we gardeners take for granted. But fragrance in the winter garden can turn the walk to your car into something special. With just a little planning you can make the winter garden a destination. You can enjoy soft sweet scents or a spicy fragrance as you walk through the garden on a warm winter day. 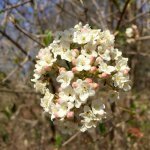 Here are three shrubs that I have enjoyed in my yard that are easy to incorporate into most gardens. 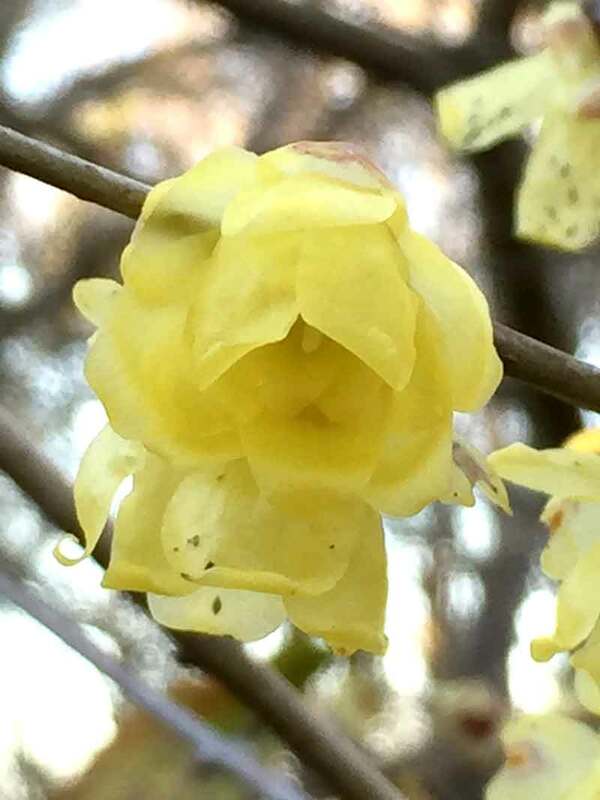 The first is winter Hazel (Corylopsis pauciflora) a deciduous shrub that can grow 4 to 6 feet tall and wide. In late winter, around February, the small round buds start to open into lemon yellow flowers that look like upside-down cups. Even from a distance the soft sweet scent can be enjoyed, and on warm sunny days the fragrance is stronger. The flowers open randomly along the stem over several weeks so if a freeze damages the open flowers the unopened buds will take their place. Winter Hazel is a slow growing shrub that will take full sun to partial shade. One of mine is beside a bench in the side yard and I have two others near the parking area for my car. 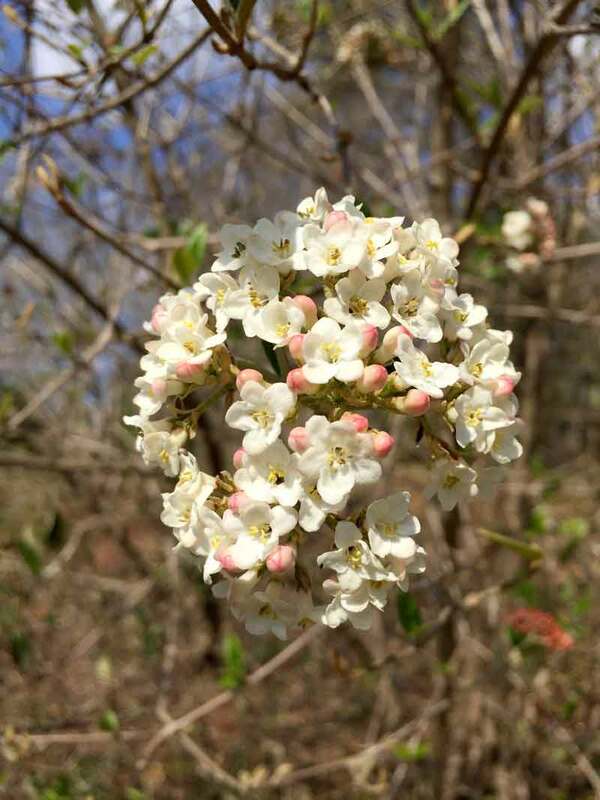 Korean spice (Viburnum carlesii) is another deciduous shrub that has wonderful fragrance. Its clusters of beautiful pink buds open into light pink to white flowers with a heavenly spicy scent that fills the area. Korean spice will grow 4 to 6 feet tall and wide with a nice full shape and will be happy in full sun to partial shade. I have one bush near the walk to my house that can lift your spirits when it is blooming in the final days of winter. I also have Viburnum carlesii ‘Compactum’ outside my bedroom window and that wonderful fragrance can fill the room. As the name suggests ‘Compactum’ is a bit smaller at 2 feet tall and 4 feet wide. The third plant is also one of my favorites. 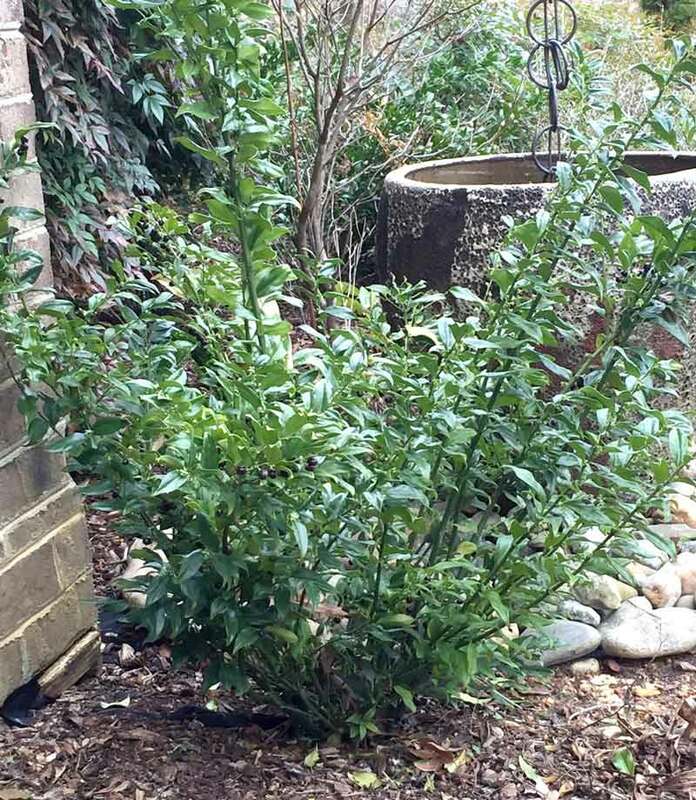 Sweet box (Sarcococca x confusa) is an evergreen shrub with dark shiny leaves that are slightly wavy. Near the stem are very small frilly white flowers that have an amazingly sweet smell. The common name comes from the sweet scent and because it is related to the boxwood. Sweet box blooms as early as December but usually in January and February. And if being evergreen and having a lovely scent isn’t enough, S. x confusa also has shiny black berries that last until summer. The shrub is slow growing in part sun to shade and will get to be 3 to 4 feet tall and 4 feet wide. I have two of these great plants one on either side of the steps to my house so I can enjoy them when I am coming and going. 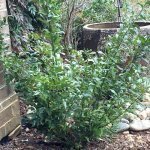 I selected these three shrubs because I have found them to be easy to grow, a size that can fit into most landscapes, available at most nurseries, and I have never seen the deer munch on them. 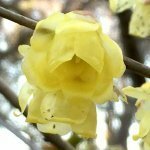 There are many other winter blooming plants that also have lovely fragrances and I hope you will think about adding one or more to enhance your winter garden. Cindy Chappell has been a Wake County Extension Master Gardener Volunteer for 9 years. She has lived in southern Wake County for 25 years and enjoys being outside with all her fragrant flowers.